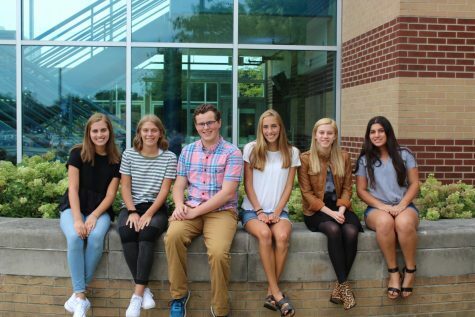 From left to right: Zoe Sawdon, Bianca Mow, Noah Peterson, Elizabeth Bulat, Violet Resh, and Mariam Hanna. 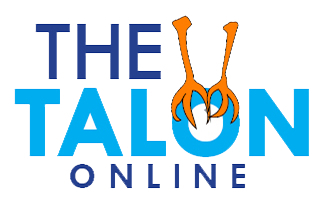 The Talon is the award-winning, student-run newspaper at Rochester High School. The Talon earned Spartan Awards, the top honor in the state, from the Michigan Interscholastic Press Association in 2010, 2011, 2012, 2014, 2015, and 2016. In addition, in 2013 and 2015, The Talon earned top honors in the nation when the staff received a Pacemaker Award through the National Scholastic Press Association. Each month, The Talon staff strives to produce high-quality, informative news, feature, entertainment, opinion and sports stories that are relevant to students at RHS, as well as the Rochester community through print, web and social media coverage. For more great coverage, check out @therhstalon on issuu, @falconsofrhs on Instagram, @rhstalon on Twitter and like The Talon of Facebook.